It was recently reported in the Health Service Journal (HSJ) that the demand on secondary care for eye health services has never been higher. But the report argues much more can be done within primary care to take the strain. Read the full report from HSJ here. Eye health is one of the great 21st century successes, with new technologies and treatments available to prevent or even reverse loss of sight. But while this is fantastic for individuals and their families, it’s a potential headache for the NHS. 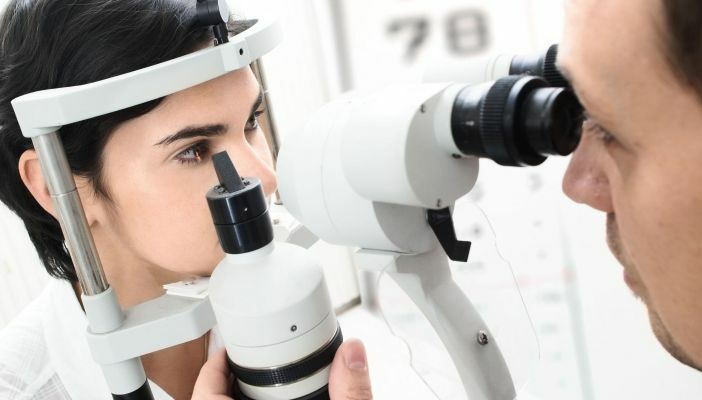 Rising demand is placing a huge burden on secondary care services; according to the Royal College of Ophthalmologists, eye clinic attendances in England increased by 30 per cent over the last five years. It’s a perfect storm, says college president Carrie MacEwen: an ageing population is developing eye problems, for which there are now treatments, causing hugely increased demand with no appreciable rise in resources. What’s more, these therapies often require long-term care – and if patients don’t get timely treatment and follow-up, they are at risk of further sight loss. While devastating for individuals, this also has knock-on costs for social care (as people lose independence), and, with consequences of sight loss including falls and accidents, costs the NHS dearly too. This is real and it’s happening. In April, for example, the Health Service Journal reported that East Kent Hospital University Foundation Trust said its department was “overwhelmed”, with a backlog of patients. And it’s by no means alone. Research by the National Reporting and Learning System identified almost 500 incidents of loss or deterioration from delays in follow-up between 2011 and 2013 in England and Wales. The college is conducting its own study, and early findings suggest that at least 20 patients per month suffer sight loss from delays. According to Dharmesh Patel, chair of the Greater Manchester Local Eye Network, the NHS should be looking to the high street optical practice – and the expertise within – to reduce pressure on secondary care, while offering patients care closer to home (incidentally one of the aims of the Five Year Forward View). For example, minor eye conditions services (MECS), run by local optical practices for the NHS, allow patients to be seen quickly for a range of conditions, without having to go to hospital. Among many other roles, Mr Patel represents primary care on the strategic partnership board of Greater Manchester Health & Social Care Partnership, which means he’s intimately involved in the Manchester devolution initiative. But an optometrist with his own practice, he is personally at the sharp end of providing NHS eye services in the community, as well as influencing wider service transformation across Greater Manchester. The current commissioning environment in England does not make it easy to respond to demand, he says. “It’s a complex picture. There are more than 200 Clinical Commissioning Groups (CCGs) responsible for commissioning ophthalmology, while NHS England is responsible for NHS eye tests in primary care. It’s fragmented. Indeed, as well as the minor conditions (such as red eye or floaters) that are the meat and drink of minor eye conditions services (MECS), he believes that more can and should be done in primary care, including some less serious glaucoma care, and follow-up for people who have had cataract operations. “A lot of follow-up doesn’t need to happen in hospital,” he adds. Wolverhampton CCG is among those to have taken the decision to commission a community eye service, with a contract that includes a minor eye conditions service (MECS) (commissioned as PEARS – primary eyecare assessment and referral service). In the first full year, A&E activity was down two per cent – all the more remarkable since this followed successive years of increases, including a four per cent rise the year before the new service came into being. The CCG has also reported a fall in outpatient appointments, and GPs have welcomed the service, referring eye cases through MECS. An audit of the service has shown that it is working effectively, and is managing 80 per cent of patients in the community, while making appropriate referrals. Helen Hibbs, clinical accountable officer with Wolverhampton CCG, and a part-time CCG, says the new service started in 2014 after a procurement process was won by a primary eyecare company (a model similar to GP federations). “We wanted to reduce pressure on our acute provider, and on our GPs,” she says. “We commissioned it from a group of 28 local opticians, which involves 50 professionals. Demand [on secondary care] is going down slightly, but we believe it would have gone up even more had we not introduced the new service. And the good thing is that patients really like it – 99 per cent of them are happy. Mr Patel also points to a similar MECS network in Stockport, which he says, manages more than three-quarters of patients in primary care, without the need for referral to hospital. But nationally, he wants to see many more. Collaborative commissioning would be one solution to the current fragmented landscape, and sorting out IT would be another, he adds. But the overarching issue is bringing primary care eye services firmly under the NHS banner. “We are part of the NHS and have a great deal to offer,” he says. Read Katrina Venerus, Managing Director of LOCSU, opinion piece on CCG’s need to focus on optometrists.